The Sculpture Center is seeking an applicant with a major in art history, studio art, or library science who is a confident, interpretative researcher and writer about art, is interested to learn new CMS skills, is detail oriented, and is a self-starter. The intern must be a proficient photographer and basic photo editor. Prior experience in using the CMS OMEKA is a significant plus. 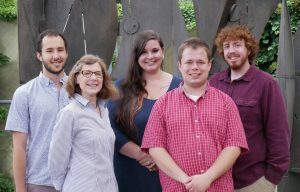 Our 2019 summer project for Arts Intern will concentrate on editing, updating, and adding to our Ohio Outdoor Sculpture Inventory (OOSI) which is held online in OMEKA 2, a specialized CMS (content management system). There are currently 1,500+ sculptures in our online database at http://oosi.sculpturecenter.org/. The website was recently completely redesigned when it was migrated forwarded from OMEKA 1 to 2 and needs systematic revisions and additions. See the attached PDF for the full job description or visit our website. Internship last 9 weeks (June 10 – August 9), and interns work 28 hours a week. Interns will be paid $15.00 per hour for a total of $3,780. In addition to working at The Sculpture Center, Arts Interns must participate in the education component of the program, which is spread out across nine program days throughout the summer. These days will be used to visit other Cleveland institutions, where the Interns will have the opportunity to learn about other jobs in the field. These days will also be used to complete program assignments. Students are paid for this by the Studio Institute. This internship is offered through the Studio Institute (New York). Application begins at their website. When you have been approved as per the requirements listed below, you will get in touch directly with The Sculpture Center. Applications are being reviewed on a rolling basis. Apply immediately – don’t wait until June 1.